Home > Counselling as a Career > What Qualifications are Needed? Before selecting a Counselling qualification it is worth considering your personal and vocational strengths, along with previous academic achievements. Many graduates end up following a career that has no reflection on their course of specialisation. Understanding that certain types of profession require a particular qualification will help you define your career choice more easily. Before applying for a study course always research and carefully check the entry requirements. Some Counselling courses require that you complete a foundation or introductory course of study before embarking on more in-depth training. There may also be an age restriction, depending on the particular course you are interested in. Details of all the current counselling courses available will help you make an informed choice, and will provide you with all the information you will require about the course you are interested in studying. Qualifications are tools that help you to understand and do the work you have chosen to do, in the most effective and productive way. Counselling is made up of many specialist fields, so it is important that you select the correct course of study, that leads to the required qualification, in the field you would like to specialise in. In order to select the ideal counselling course for you, take your time researching any relevant courses, career and occupational information and options available. Taking time to research, before embarking on a course of study, with ensure you select the ideal specialisation for your requirements. At present in the UK however, no minimum qualifications are required to practise as a Counsellor. If you prefer to learn, with an emphasis on theoretical knowledge, and enjoy research and basic scientific methods, a degree would be the ideal choice for you. A degree will prepare you for a particular professional occupation, like that of a psychologist. 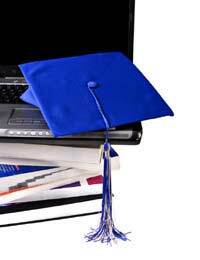 If your focus is on a more practical level, a diploma could be the best choice for you. Diplomas offer training for specific careers. If you are simply looking to improve your skills and knowledge, in a specific field or area of study, a certificate, or short learning course, is also worth considering. If you already have a degree you may consider a Masters qualification. Some counselling courses however, may require that you complete an Introductory course in the relevant subject. Many employers, and clients, require that a counsellor is accredited. A professional qualification, and accreditation, that is recognised by a professional body like the British Association for Counselling and Psychotherapy (BACP) will stand you in good stead when researching career openings. In-depth training courses will reward you with an accreditation certificate. This type of course usually requires at least one full year of study, or two to three years of part-time study. A period of supervised placement is also a requirement. Once you have gained a Counselling accreditation you may decide that you would like to continue learning and developing your skills. Many specialist areas of counselling offer training to those professionals who already work in a relevant field. You can however, add a specialist qualification to training you have already gained on a substantial training course. Hello , Am Dr. Naveena from India who is dealing with care ofDevelopmental and Behavioural Child health . I am looking for counselling skills specific for special needschildren and family . Will it be possible for you to provide me any online accredited courses that I can apply to upgrade the counselling skills ? I am quite confused in choosing the right course for my situation. Looking forward to get some valuable feedback . Hi, I've been a primary school teacher for 21 years and am in my third year of study for a level 4 diploma in counselling and psychotherapy, which includes 100 supervised placement hours. What would I need to do next, to be able to work as a school counsellor? Thank you. Hi, I was wondering if I would be able to do a councilling course with Health and Social Care diploma level 3 and extended diploma? Hi I have a degree in psychology and have been working in primary schools as a teaching assistant and as a practitioner in Nurseries. I have decided to go in to counselling but was wondering if a one year level 3/4 course would be enough and if not what are the best steps for me. Thank you. Hi, I have recently finished a level 4 diploma in counselling. I received a distinction on the course, and a part of the qualifications was a 12 week placement working with teenagers with a variety of problems. I have been looking at doing voluntary work to try and gain further experience, but it's been proving tricky! How many hours of voluntary counselling do I need to become recognized as a child/young adult counsellor? How do I then proceed in gaining accreditation from BACP, or any other accredited counselling body? Kind Regards. I have a BA Hons in applied social sciencesand have been working in mental health as a manager for over 14 years I would like to start a career in counselling, what study path would be the best? I have just completed my level 3 diploma in carpentry and joinery and want to further my studies wot. is the next best choice for me h n c ? Or do I need to do any other courses ? You have quite a high level of skill at NVQ level three. Much depends upon what area you wish to specialise in, if any and try to follow that route. The gov.uk link here gives a little more information with regards to career path progression. A HNC is a good qualification to have if you wish to move into construction proper. @Tessa - unless you can do a post-graduate course transfer, you'd have to begin again at the beginning. The thing about counselling is that anyone can train to a minimum level and set up as a 'counseller' or 'therapist'. But if you want to be taken seriously then you have to get the best training and best experience possible and that's at degree level and beyond. Plus, it's a massively overpopulated field, so applications for the good jobs are competitive. I've been there, done that and got the tee-shirt! @Kim - the natural progession is to apply to access year two of the HND in Counselling. Backed up with some voluntary work, this should get you back into the profession. Hey there. I have a HNC in counselling that was completed in 2014 and I'm now looking at getting back into my studies. I have been working in retail for the past few years and it's now time for me to look at my options as a counsellor again. I enjoyed the CBT side of counselling but I'm open to options on where and what I can do next. I also like the idea of psychology. What direction do I go? Or can you suggest. I am looking into doing a counselling diploma, but have no qualifications in this area. I have a BSc and MSc in a completely unrelated subject and would like to avoid doing another degree. I would have to take the diploma part time as I have a child. At what level would I be qualified enough to get a job? @Flo - you sound as though you have the right qualifications to set you on a further course of study. Specialising is good. But it's a long, hard, comeptitive slog and you would have to do further study, maybe even a second degree. What about an MA in counselling? They do one in London Goldsmiths.Best of luck. Hello there, I am a 34 year old female and mother of three young children. Two of our children are of school/nursery age and I have just a few years before our last child will follow suit. I have been a stay-at-home mum for the last six years and I am thinking now about what I will do when I return to work when our youngest is at nursery full-time. I have a BA in Theological Studies - a II:I from Exeter University; I also have a PGCE in Secondary Religious Education, although I never taught full time afterwards and did not, therefore, gain my full qualification with QTS. I have always been interested in counselling as a career and yet now, a little older and with mor elide experience - particularly that of parenting perhaps - I feel in a better position to make a more rounded application. There seems to be an increased interest in and effort from the government around issues of mental health generally, and particularly in children's mental health and early intervention within schools. I would love to gain the correct qualifications that would enable me to apply for school counsellor positions, for example. What would my best training options be? I am based in London. Many thanks indeed for any input or advice you are able to give. @Ali27 - it would take a long time as in order to work professionally you would really need to get to degree standard and more to be able to get a job. I don't wish to dampen your enthusiasm, but it's also a really competitive field. There are a lot of university open days currently for next year, why don't you go and speak to someone and see what the best path is. At least it will put things into context and where there is a will, there's always a way. Hello, I have been teaching for 24 years, 10 of which in international schools. I came back to the UK 5 years ago, went back to college to do a Professional Diploma in Therapeutic counselling (BTEC 5) giving me the chance to become school counsellor. Since then I was able to teach Health and Social Care and Psychology in a college. Itching to go abroad again, I am now applying for positions as counsellor in international schools but most of them seem to require experience in career guidance and college applications, which I don't really have. I am thinking of doing an accredited online course at level 4 in Career Counselling to gain the knowledge and confidence. If you are or have been in this situation, I would be grateful for any advice. I have worked as a school counsellor for many years now in the UK and abroad but just don't feel confident about the career side of the job. I completed a BS degree in Psychology at San Francisco State Uni in 2003 and a MA degree in Counseling from John F Kennedy Uni in Oakland in 2006. I completed approx 750 supervised hours between 2005 and 2007. Since 2006 I've been working in a behavioral health organization doing telephone crisis counseling. I am interested in relocating to the U.K. and completing any requirements for accreditation then working in a group practice or center. What is the best way to proceed with accreditation? Do I need to secure a position somewhere first? Thank you.